AMMAN: President Donald Trump’s senior adviser and son-in-law, Jared Kushner, kicked off a swing through the Middle East on Tuesday, meeting with Jordan’s king as part of a broader effort to lay the groundwork for an expected Israeli-Palestinian peace plan. Kushner and White House envoy Jason Greenblatt held talks with Jordan’s King Abdullah II, a key US ally. US officials have said their peace plan is near completion and could be released this summer. But it faces resistance from the Palestinians, who have cut off ties since Trump recognized contested Jerusalem as Israel’s capital last December and moved the US Embassy in Israel to the holy city last month. The Palestinians, who seek Israeli-annexed east Jerusalem as their capital, accuse the US of siding with Israel in the most sensitive issue of their decades-long conflict. Kushner’s team also plans stops in Israel, Egypt and Saudi Arabia. No talks with the Palestinians are scheduled, though the Americans have left the door open to meeting with them. The Palestinians seek all of the West Bank, east Jerusalem and Gaza Strip for an independent state. Israel captured the territories in the 1967 Mideast war. It withdrew from Gaza in 2005, and Hamas militants seized control of the territory two years later. The US has been trying to rally support for projects to rescue Gaza’s economy, which has been weakened by an Israeli-Egyptian blockade, while continuing to isolate Hamas. The US, Israel and Western allies shun Hamas as a terrorist group. Details of the plan have not been released, but Palestinians fear they will get little more than a symbolic foothold in Jerusalem. They also fear that aid to Gaza will help strengthen Hamas’ control over the territory. 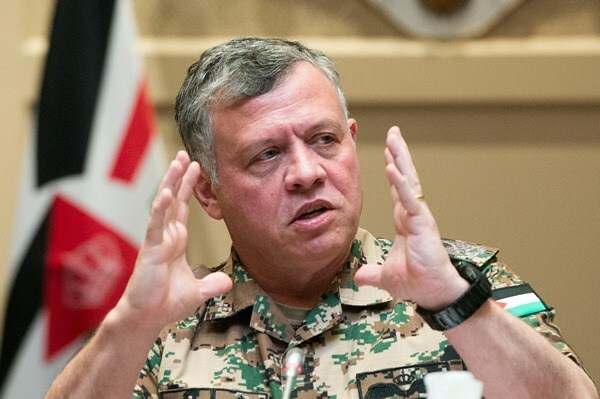 Jordan also has a stake in east Jerusalem, serving as the custodian of major Muslim and Christian shrines there. Jerusalem’s walled Old City, captured and annexed by Israel in 1967, is home to Muslim, Christian and Jewish holy sites. Abdullah has also rejected Trump’s moves in Jerusalem. Israeli Prime Minister Benjamin Netanyahu refuses to relinquish any part of the city. Netanyahu traveled to Amman on Monday for a surprise meeting with Abdullah, telling the king that Israel remains committed to the status quo of the holy sites in Jerusalem. Abdullah told Netanyahu that the fate of Jerusalem must be determined in Israeli-Palestinian negotiations, and that a solution should be based on establishing a Palestinian state, with east Jerusalem as its capital, on lands Israel captured in 1967. Palestinian officials fear the Trump administration plan will leave them with a mini-state in the Gaza Strip, parts of the West Bank and a foothold in Jerusalem. Palestinian leader Mahmoud Abbas has said he will reject any plan being floated by the Trump team, arguing that the US has forfeited its role as mediator because of decisions seen as pro-Israel.